This week saw Jonathan Creek return to our screens. The Clue of The Savant’s Thumb was a feature-length special, broadcasted on BBC One during the Easter Bank Holiday. The murder mystery pulled in an impressive 7 million viewers in the 9PM slot. Alan Davies and Sheridan Smith reprised their well known roles, this time investigating how a body vanished from a room without a trace with incidents surrounding a secret society and a girls' boarding school. Special guest appearances were made by Nigel Planer, Joanna Lumley and Rik Mayall. 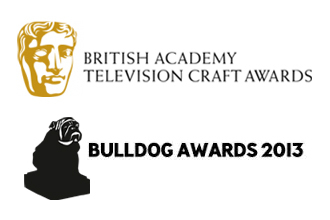 ONSIGHT is delighted to learn that Kingdom of Plants 3D has been nominated as part of the British Academy Television Craft Awards 2013. They recognise television’s top technical and behind-the-scenes talent. Kingdom of Plants 3D is in the Best Photography – Factual category going to Tim Cragg, Robert Hollingworth and Tim Shepherd. Produced by Atlantic Productions, the groundbreaking natural history documentary series is written and presented by David Attenborough for Sky. ONSIGHT played an integral role by providing both the camera and post production facilities. Our story can be read here. Another exciting project has been commissioned by Sky and ONSIGHT is delighted to be involved again. 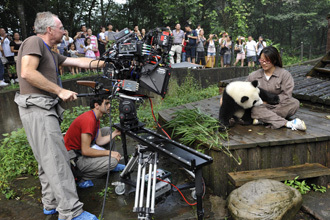 Having worked with Oxford Scientific Films on the successful Meerkats 3D, the team is now mid production on a new one-off natural history film, focusing on pandas in China. ONSIGHT is providing full production facilities from the shoot through to post production. Read more below, as announced in Broadcast. Watch this space for details of our work. Galapagos with David Attenborough, Mr Stink and Little Crackers are some of the well known productions, featured at the inaugural 3D Creative Summit (3D CS). ONSIGHT has worked on each of those titles and is a proud sponsor of this inaugural event. Produced by Ravensbourne and the 3D International Society, the event takes place on 27 and 28 March at the BFI Southbank. It celebrates the best 3D films and television programmes of the past year through exclusive screenings and in-depth Q&As from behind the scenes with some of the industry's leading contributors. 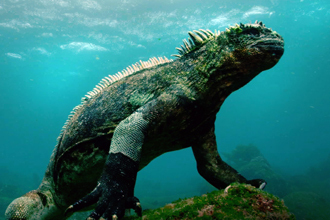 Galapagos with David Attenborough is the new groundbreaking 3D series, produced by Colossus Productions – the joint venture between Atlantic Productions and BSkyB. This production is their first 3D project and ONSIGHT is proud to have provided the full camera and post production service. Our team has collaborated with Atlantic Productions for Sky 3D on a number of successful documentaries, including BAFTA-Award winning Flying Monsters 3D with David Attenborough and the acclaimed Kingdom of Plants 3D. In addition to this, Galapagos with David Attenborough is ONSIGHT’s fourth project with the celebrated broadcaster, Sir David Attenborough. The three-part series exploring the Galapagos Islands, an archipelago of volcanic islands in the Pacific Ocean, features diverse landscapes and extraordinary species by using pioneering technology.